Over the past decade, India has implemented several programs with the aim of improving maternal health nationwide, but the latest data reveal that progress has been inconsistent. Maharashtra, a large state in western India, has seen some improvement but still has a long way to go. For example, in 2016, a mere 36% of women in urban Maharashtra received at least four antenatal care visits that included administration of a tetanus toxoid injection and iron folic acid supplementation, and nearly half of pregnant women in this area were found to be anemic. By the beginning of the new millennium, Maharashtra had experienced rapid urbanization and migration, both of which have important implications for health systems. Mumbai city had the highest rate of in-migration between 1990 and 2001 compared to the rest of the country. As greater proportions of the population continue to move into India’s cities, more infrastructure, supplies and human resources are needed—especially because of the exclusion of poor migrants from the health care system in urban India. Among 35 Organization for Economic Cooperation and Development countries, India has the lowest ratio of hospitals beds per population at just one bed for every 2,000 people. This shortage demonstrates the kind of pressure that population growth and migration put on India’s health system. Over-crowding, however, is just one example of India’s health care system challenges. People migrating into Maharashtra—especially to urban centers such as Mumbai—often avoid local health facilities. The under-utilization of maternal health services occurs for several reasons, including language and cultural differences. One of the greatest barriers to health care access for migrants is the government’s requirement that everyone is issued an “Aadhar” identity document. The Indian government has recently announced that the identification scheme of Aadhar will be linked with a number of central government-sponsored schemes, which may have important implications for access to maternal health care. Integration of services: Currently, separate agencies provide health and nutrition services to pregnant women, and recent migrants often struggle to find each service location. Offering a “one-stop” location that integrates several types of services could help to increase utilization. Multi-sectoral collaboration: Partnerships with non-profit organizations and private sector actors represent an opportunity to develop and test innovative solutions, including leveraging technology platforms to facilitate the identification of high-risk pregnancies and resource gaps. Support for frontline health workers: Frontline health workers are the primary influencers at the community level and often have important insights into challenges and opportunities on the ground. These providers need high quality education and training, support from the wider health system and access to accurate and updated information on maternal health in their communities in order to do their jobs well. Investing in research: Rigorous research studies that involved the collection of comprehensive, accurate data is critical to understanding maternal health challenges and planning interventions to address these challenges. Learn more about maternal health in urban settings. Watch a video from a 2013 discussion titled “Maternal Health in India: Emerging Priorities,” which was co-hosted by the Maternal Health Task Force (MHTF) as part of the Advancing Dialogue on Maternal Health Series. 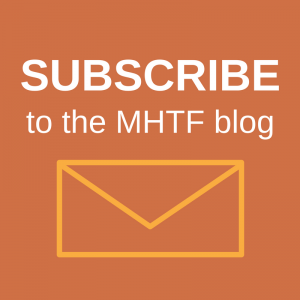 Interested in writing for the MHTF blog? 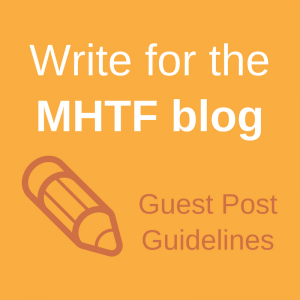 Read our guest post guidelines and tell us about your idea!